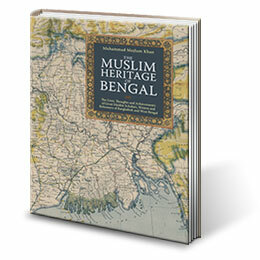 The Bengal Muslim Research Institute UK (BMRI) is a new and pioneering charitable research institute established by a group of dedicated and accomplished British-Bangladeshi intellectuals, writers and other professionals in order to raise awareness and understanding of Bengal's Muslim history, culture and heritage within the Bengal's Muslim communities in the West and also in Bangladesh and West Bengal. Bengal's Muslims have a rich and diverse cultural history spanning more than a millennium but very few of us are aware of our religious history, cultural traditions and linguistic roots. BMRI intends to research, revive and popularise this remarkable cultural history and heritage for the benefit of the present and future generations of Bengal's Muslims, living in the East and the West. Professor Dr Abdus Subhan, formerly of University of Calcutta, India. Professor Emeritus Dr A. K. M. Yaqub Ali, University of Rajshahi, Bangladesh. Professor Dr M. A. J. Beg, formerly of National University of Malaysia. Professor Dr M. Yusuf Siddiq, University of Punjab, Pakistan.